1. 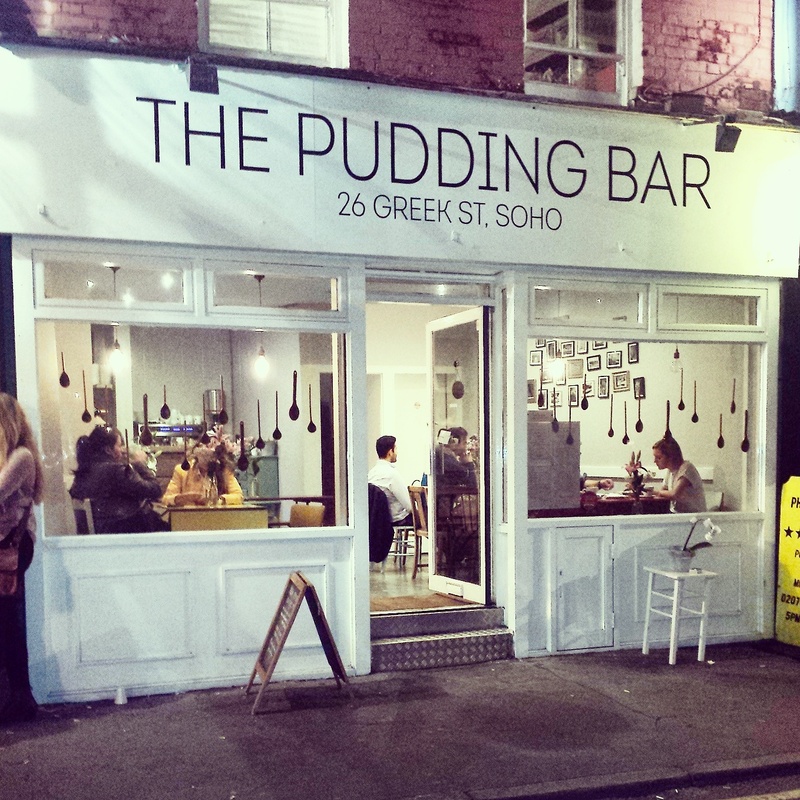 A bar that serves just pudding is what London has been waiting for. 2. 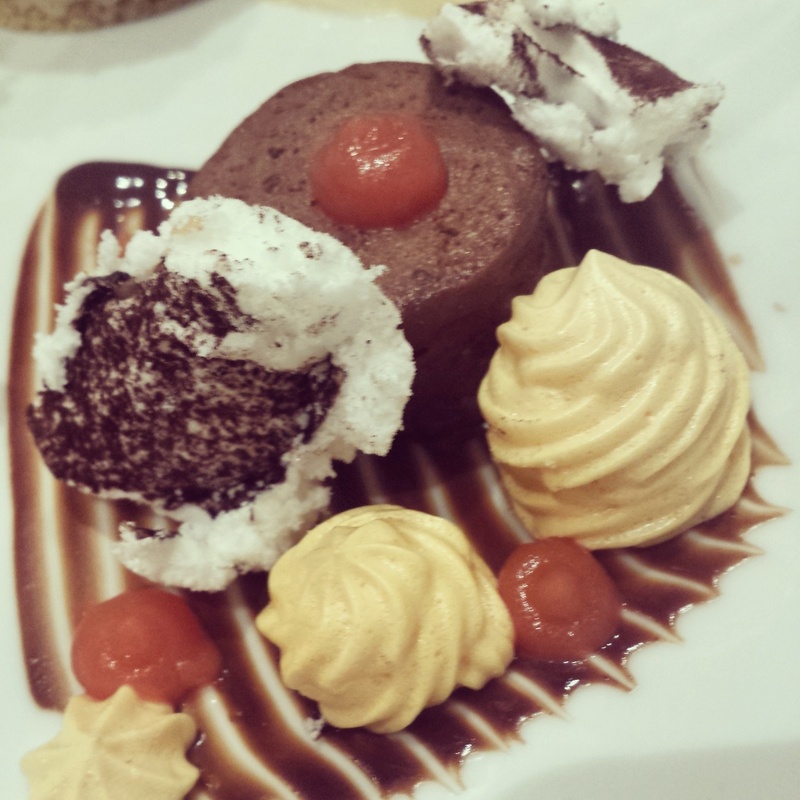 Chocolate Orange Fondant is not actually a fondant, it’s more of a mousse. Either way it’s bloody delicious. 3. Panna Cotta is not. 4. 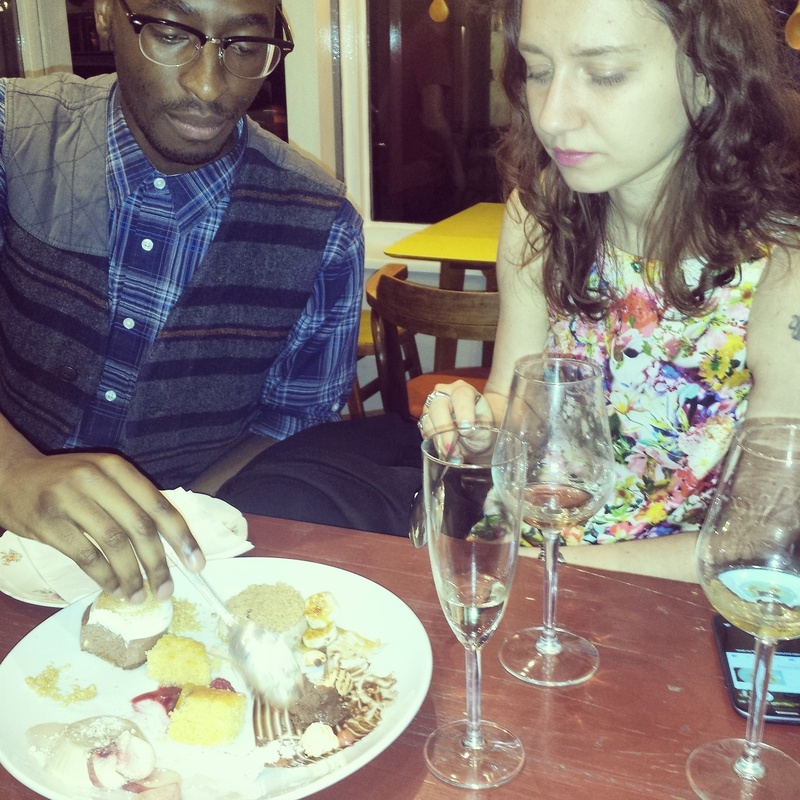 Dessert wines are insanely sweet. 5. Baked Alaska is the stuff of dreams. 6. 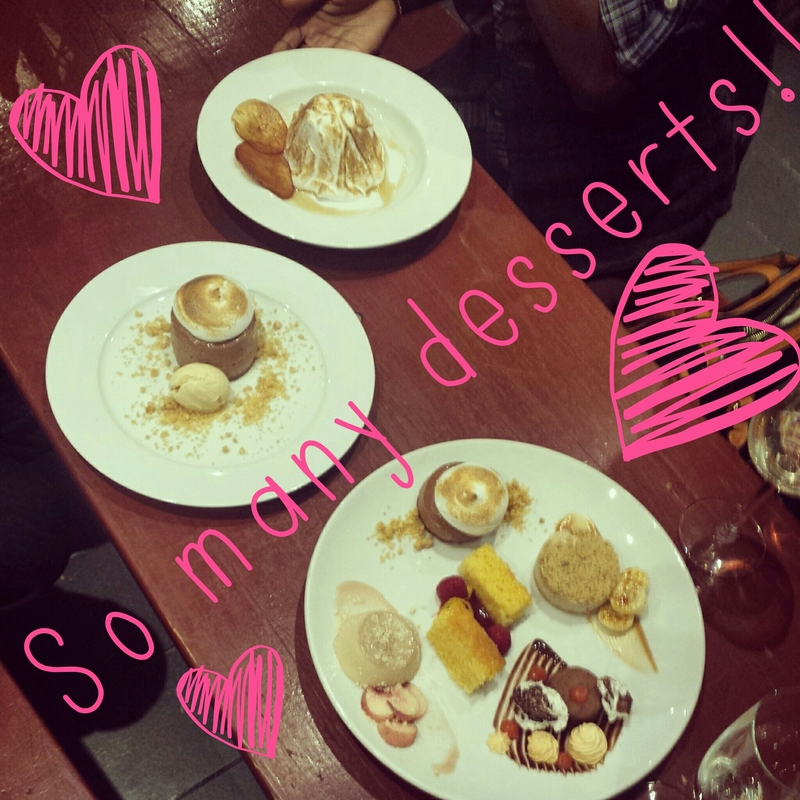 Getting a platter of puddings is the best idea ever. 7. 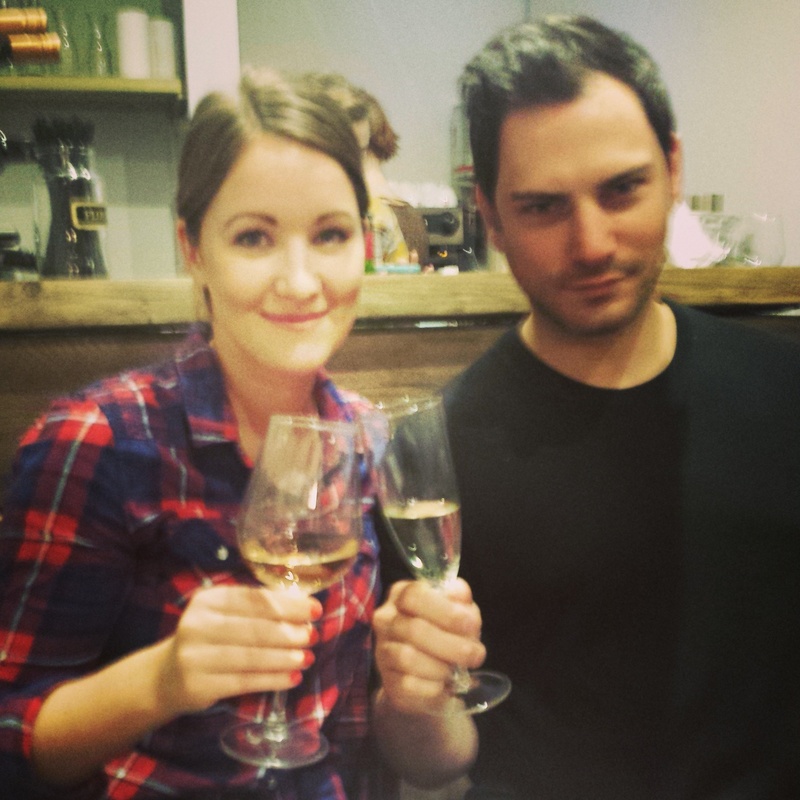 Everyone loves a glass of Reisling. 9. Although cheese (particularly goats) is the best dessert ever. 10. Which confirms I’m definitely more savoury than sweet. 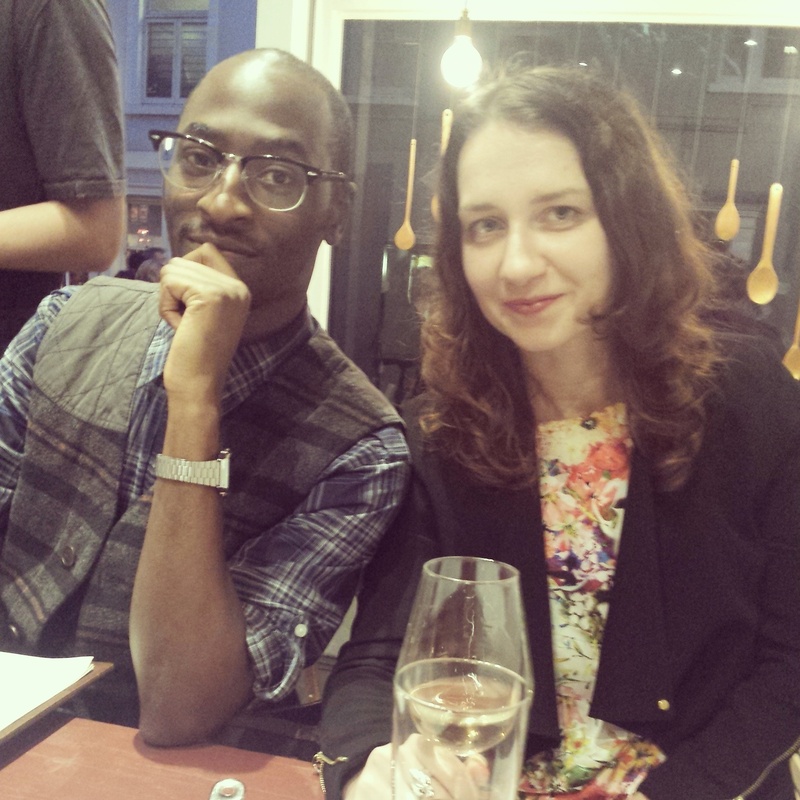 Last week, after much discussion, a few of us from work decided to check out the new pudding bar pop up in Soho. I was meant to go weeks a go with a friend to celebrate her new flat, new job and newly single status but sadly I missed out as I was causing Amsterdamage in Holland – gutted was an understatement. 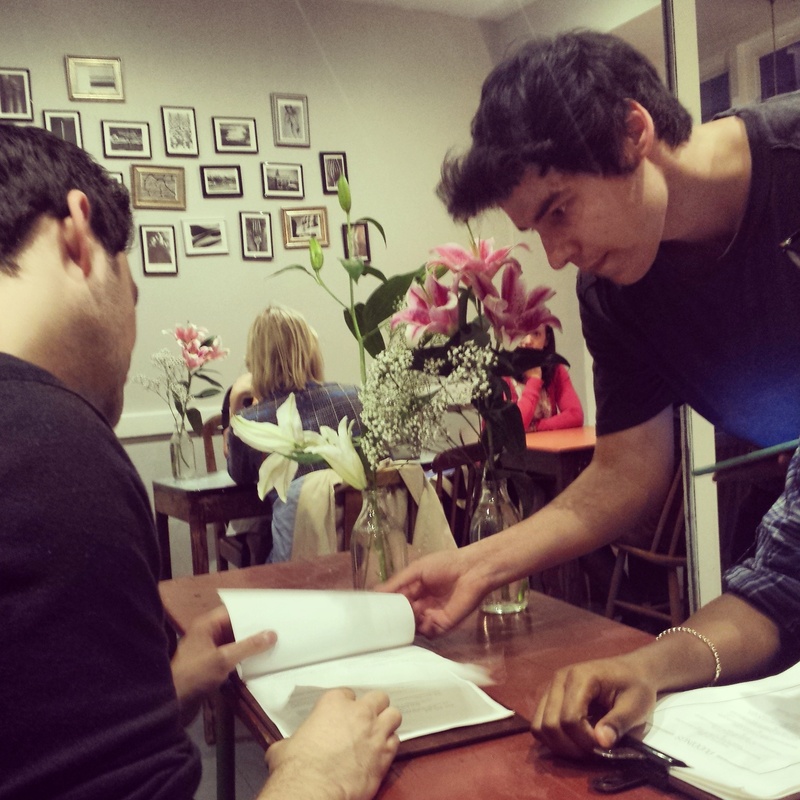 As a result I rallied the work troops and booked a table for four last week. When we arrived I was surprised at how ‘pop-up’ the place felt. It was very basic and not at all decadent like I thought it might be. It was more simple tea-room as opposed to the sinful setting I expected. Something about the naughtiness of puddings that made me think the venue might reflect this. Anyway we took our seats at a large picnic table, ordered some drinks and perused the definitely decadent menu. Myself and Anna decided the best thing for it was to order the sharing platter so we could try a little bit of everything – good thinking or greedy? 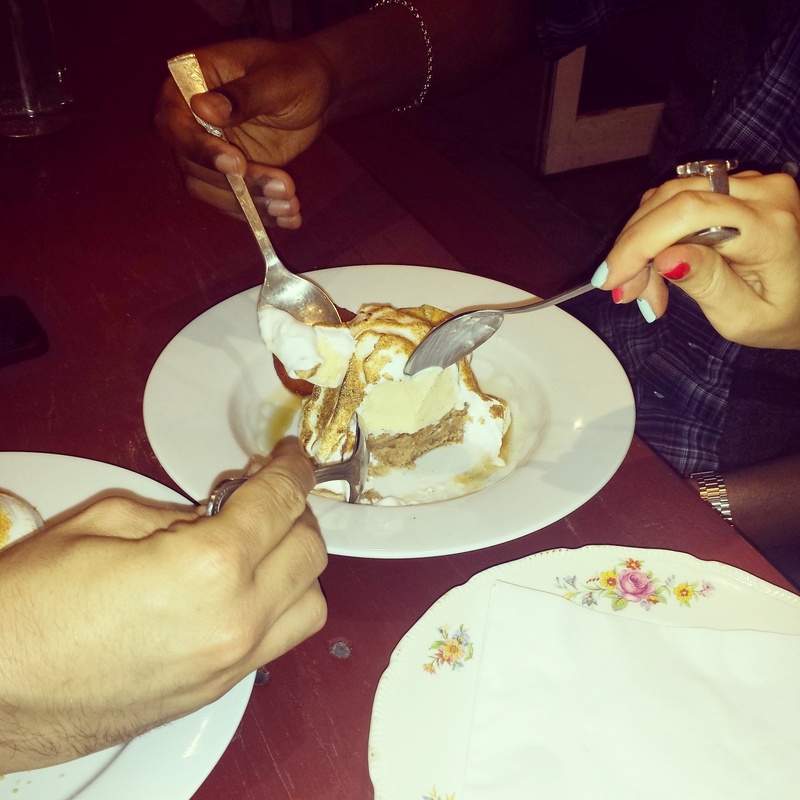 The boys with us went for the Smores Cheesecake and a Baked Alaska. 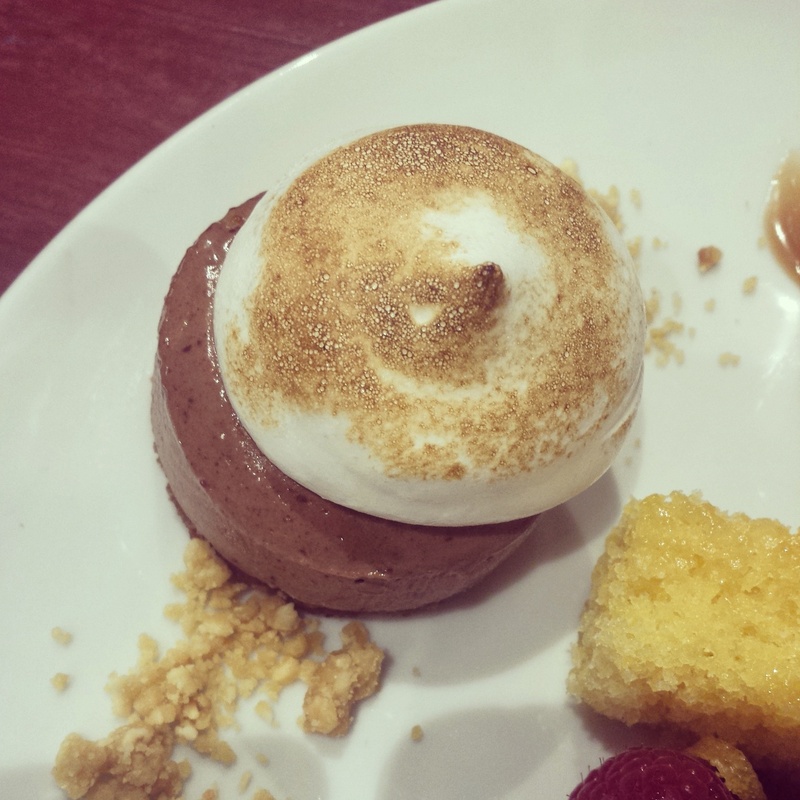 A close up of the Smores Cheesecake…and you can see Lemon Polenta in the bottom corner…both were delicious! 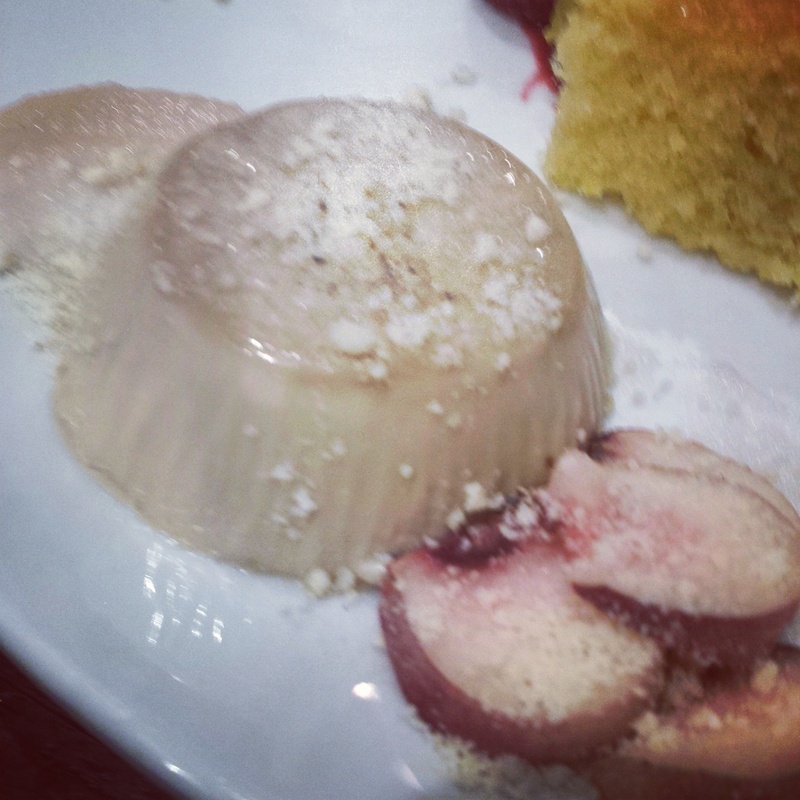 And the Panna Cotta which I did NOT enjoy. 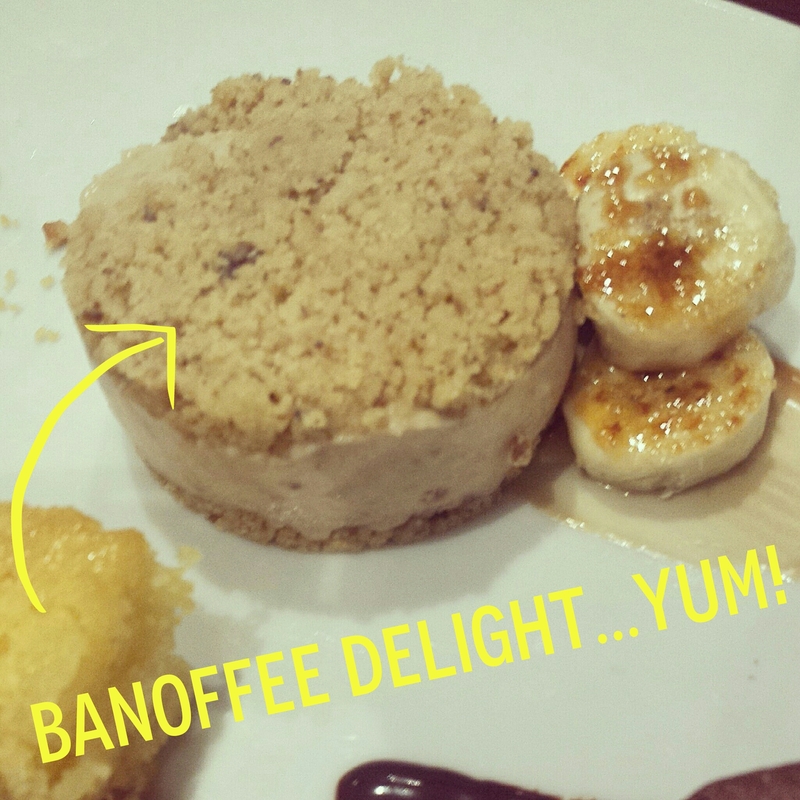 And finally the Banoffe delight…GET IN MY MOUTH. I was pleased that the tasting platter didn’t have teeny tiny portions, Anna and I were a bit worried it wouldn’t be enough but it was the perfect amount and meant that nothing got too sickly. And finally came the cheese course. Oh the cheese. I just LOVE cheese so much. 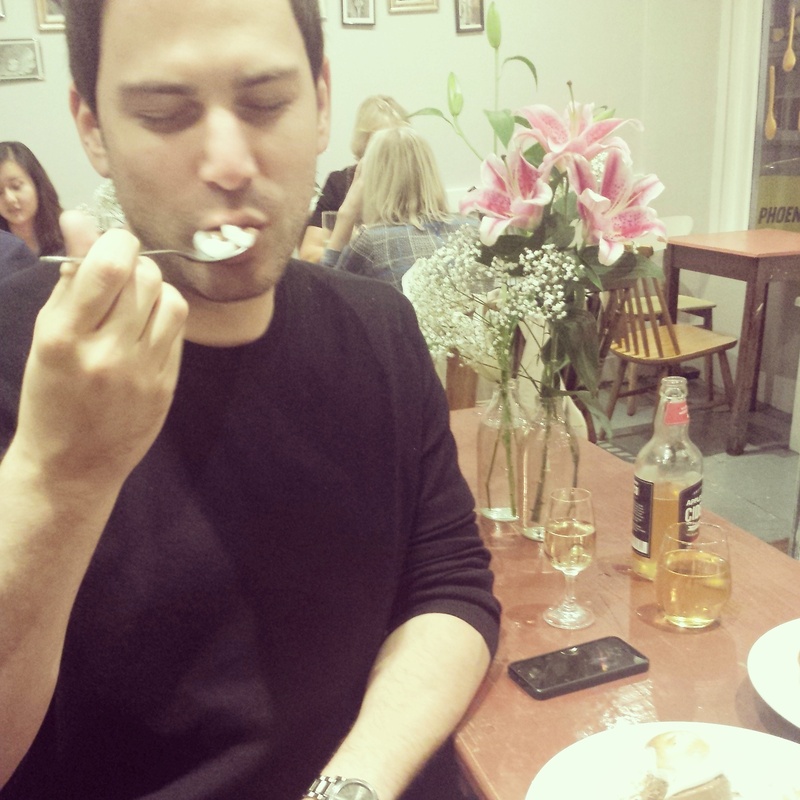 To be honest I think I would forgo all the other sweet desserts in favour of cheese…every single time. See, told you I’m a savoury girl at heart. With our sharing platter costing £28 between us, plus wine and the cheese I ended up paying around £40 for my portion of the bill…which quite a lot but it was a proper meal in terms of how stuffed I was! 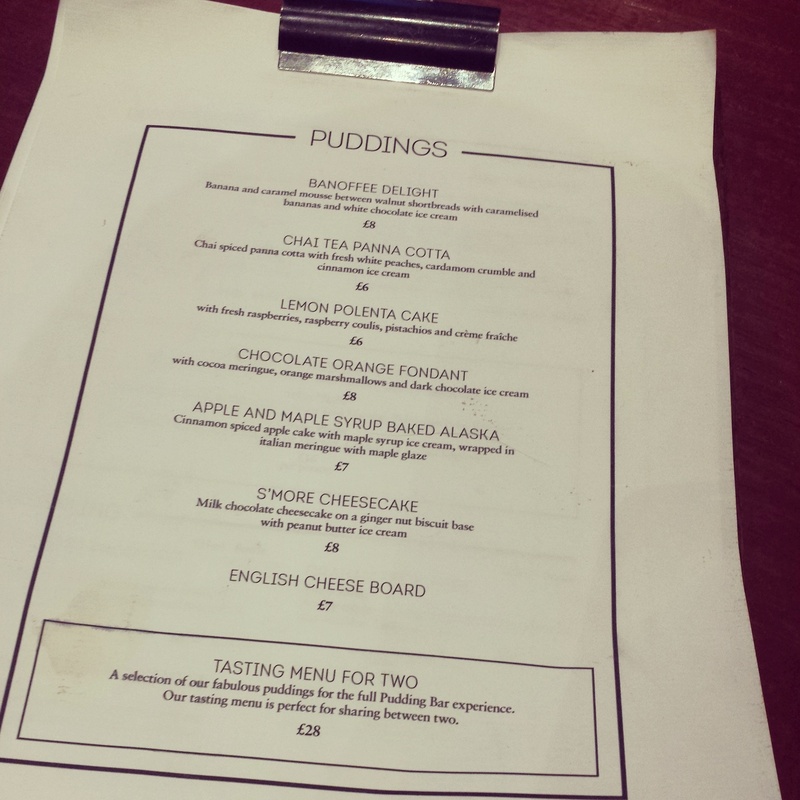 I think the Pudding Bar is a great date night place or somewhere to go with a girl-friend for something sweet. 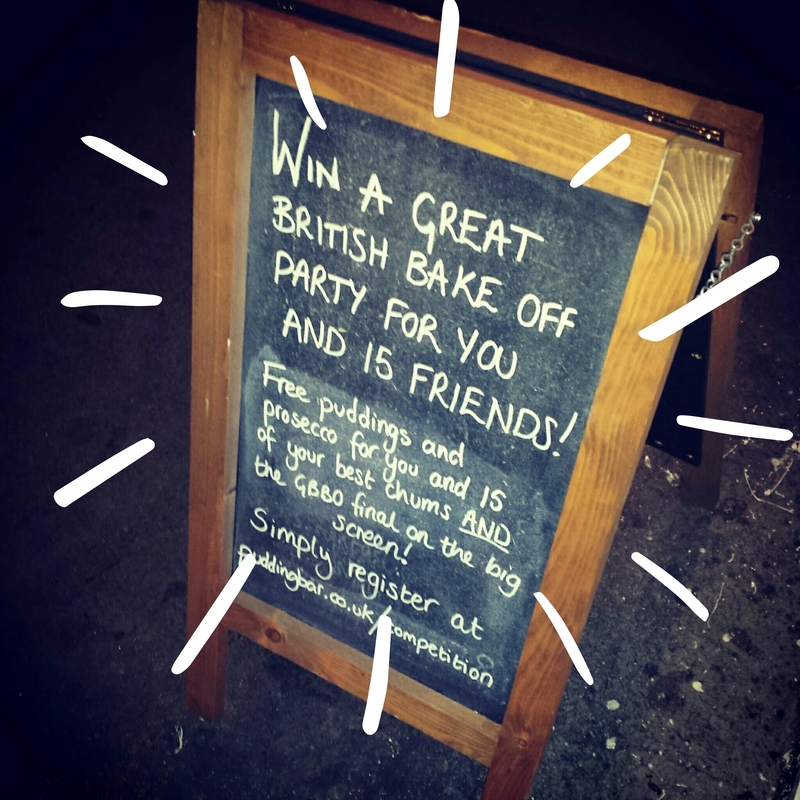 Obviously it’s too late now as the GBBO has finished but how amazing would that have been! Baking and puddings and all things sweet are definitely having a moment right now…I even went to a Macaron masterclass at the weekend and I’ll be telling you all about it soon! Have you been to the pudding bar? Does it sound like heaven to you? 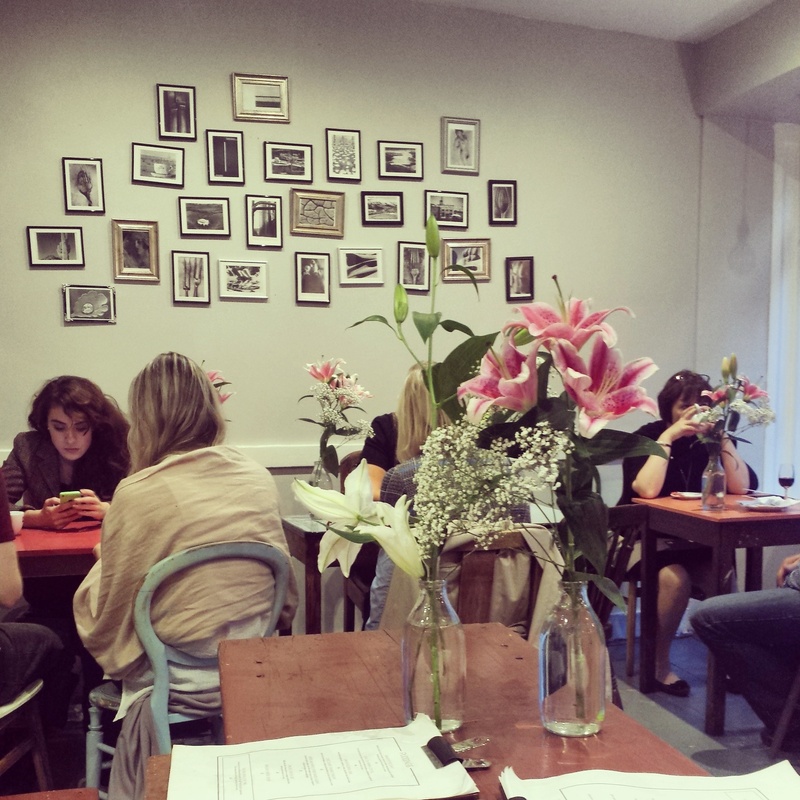 Pingback: The Restaurant List – have.you.heard. the.latest.